The Syrian Army is on a roll on eastern Daraa governorate. After the capture of the towns of Mulayhat Sharqiyah and Mulayhat Gharbiyah yesterday, Tiger Forces regiments captured the towns of Almah, Sourah, and Rakham. 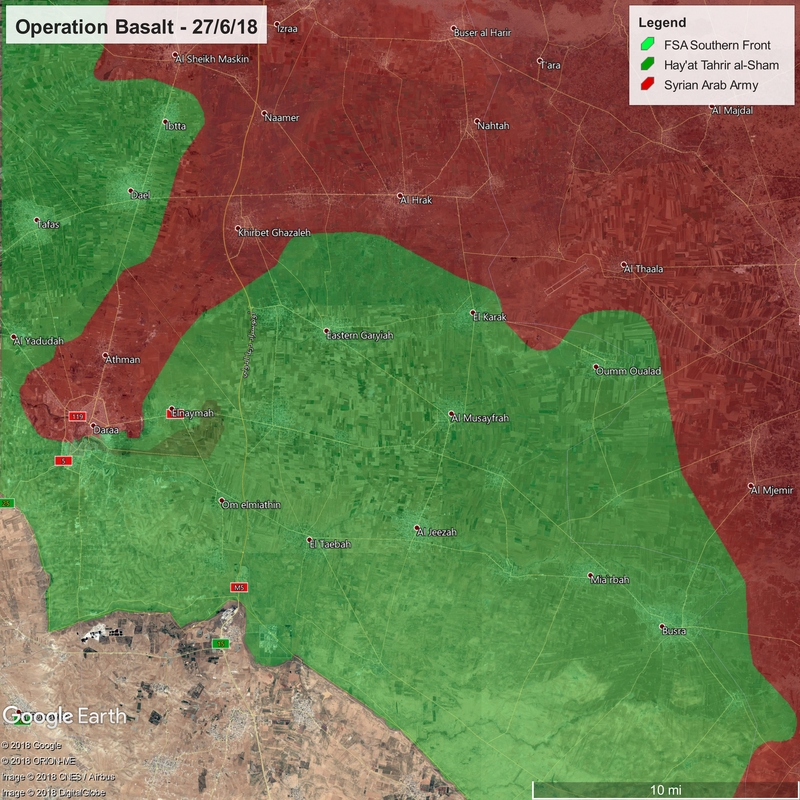 Rebel forces put up very little resistance in Almah and no resistance in Rakham, although fighting in Sourah was heavy. The Syrian Army cleared the key town of al-Hirak through fire control, with all rebel forces leaving. Tiger Forces regiments hesitated to enter the town due to likely landmines and explosive traps set up by rebel forces, but many sources reported the Army took the town. This evens out the frontline and exposes large rebel areas to government assault.